Prachin Sakthi Temple - Surajkund Colony, Gorakhpur, U.P. 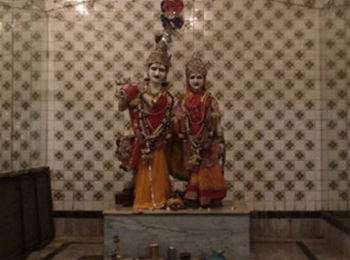 This Temple is situated in the Suraj Kund Colony of Gorakhpur city, at a separation of around 5 km from railway station. Surajkund is a Locality in Gorakhpur City in Uttar Pradesh State, India. It falls under Gorakhpur Division . The name of this sanctuary implies it is an old sanctuary of goddess Maa Durga. It is committed to Goddess Shakti. Icons of Lord Hanuman, Lord Vishnu, Ganesha, Ram Laxman, Sita and a Shivling is additionally introduced in the sanctuary. Navratri and Deepawali are celebrated here. Gorakhpur civil airport is the nearest airport which is located around 8 kilometers away from the city centre. Direct flights from Gorakhpur airport ply to the cities like Delhi, Varanasi, Lucknow and Kolkata and others. The Gorakhpur railway station is the main railhead and serves as the headquarters of North Eastern Railway. This railhead is well linked to major cities of the country such as Delhi, Hyderabad, Chennai, Nagpur, Varanasi, Lucknow and a lot more. The tourist can easily find a large number of auto rickshaws and taxis from outside the railway station. There are regular buses from other major cities of the country to Gorakhpur. The temple is open from 05:00 am to 10:00 pm.